Email list is very important. Email is still one of the most powerful marketing tactics for all businesses. It’s an opportunity to reach your prospects personally, whether they’re sitting in traffic on their phone or at home on their computer. However, it’s not as simple as just sending people an email. You have to manage your list. The following email list management best practices will help ensure that you handle it optimally. It’s not fun when a subscriber leaves the fold. However, continuing to send them email messages is a bad idea. Not only can it get you in SPAM trouble, it’s also not a great way to build a professional reputation. What you can do is to ask for feedback from the subscriber. Take the opportunity of the unsubscribe process to ask why they’re leaving. Use this information to strengthen your marketing and to make sure you’re attracting the right audience. It’s not uncommon to have an email list of thousands, but only have 10 percent of those subscribers, or fewer, actually open and read your messages on a consistent basis. For a variety of reasons, they may simply no longer be prospects. Clean up your email list. Using a segmentation feature of your autoresponder, send a message to check in with people who haven’t opened the last dozen or more emails. You can also ask subscribers to re-opt in to your list. Why do this? Because you’ll get more accurate analytics and data from a list of prospects who are still interested in your products or services. Make sure that everyone on your list has agreed to be on your list. You can accomplish this simply enough by creating an opt-in form. Your prospect fills in their name and address and clicks a button that says they agree to receive your email, newsletter, and/or promotional messages. You can also practice the double opt-in, which then sends them an email message and asks them to confirm that they do want to be on your list. Clearly post your unsubscribe link in every email message. It can be part of your email template. The unsubscribe link is often in the footer or at the end of your message. Also make it easy for subscribers to find your email policies and to manage their email messages. Some autoresponders or newsletter management services offer features where your subscribers can choose what types of messages they receive. For example they may only want to see promotional messages and sales. Managing your email list doesn’t have to be complicated. Autoresponder services help you not only manage your email list, but also help you provide a consistent brand message. All you have to do is write the email and decide when to send it. The autoresponder manages the rest. 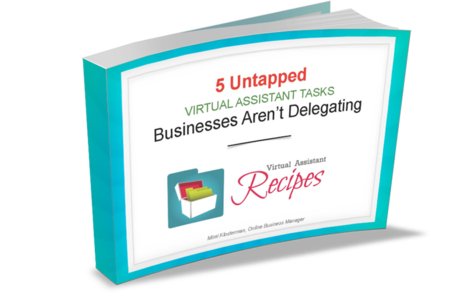 You’re the mastermind behind your business BUT you don’t have to do everything yourself. Let a strong virtual assistant and team help you. 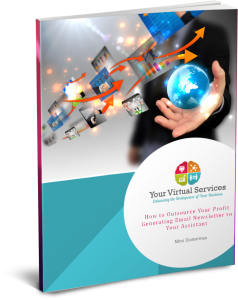 This checklist will help you outsource all or some of the tasks required to launch your newsletter.